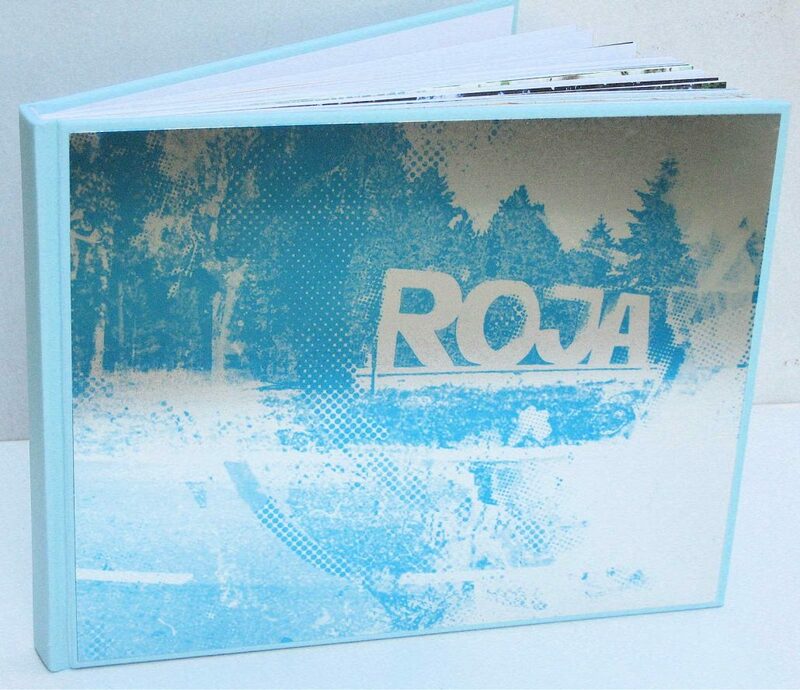 In the summer of 1997, Māris Grosbahs organised the first art symposium in his native Roja municipality with the fine sounding title of ROJARAKU. For those less familiar with ceramics, we can explain that raku is an ancient special firing technique that has become popular in Latvia particularly in the last twenty years. While studying in the Ceramics department of the Latvian Academy of Art, Māris and his fellow students also wanted to try out something new, something different. And so, every summer for the last ten years, all kinds of funny people who call themselves artists get together in Māris’s native home. Over time the boundaries of the symposium’s creative activities expanded. They were no longer restricted to ceramics alone and became a forum for the creation of spatially oriented conceptual visions. The www.rojaraku.lv website tells us that the International Art Laboratory run by the artist is a unique, non-commercial initiative in Latvia that provides a creative arena for artists who are creatively ambitious, who are prepared to work in a co-operative environment for the exchange of experimental ideas. Since 1997 more than sixty artists have participated in the project coming from the USA, Switzerland, Britain, Russia, Canada, Germany, Israel, Japan, Slovenia, Estonia, Lithuania and Latvia. Speaking of the 2006 ROJARAKU laboratory and comparing it to the activities of previous years, I think that these ten years have seen a process of increasing quality; the event has acquired its own unique identity characteristic of its organisers, the location itself and the atmosphere. All this is a positive precondition that has given rise to some good works of art created during the symposia. For example Ursula Aschernkamp (Germany) enclosed a 13 square metres area of the public park (or a simple pine grove) in red. This didn’t hinder passers-by, as it was several metres above ground. The artist drew her inspiration to make a traditional red fence from observing the Roja private houses but everyone forms their own different associative story. Ronit Porat (Israel) documented her walks around Roja and the people she met on the way. She demonstrated the results on the last day with a slideshow in the local art school. This was nothing new but the work had an intangible sincerity and a disarmingly positive energy. The artist also produced another work-ephemera, a site-specific project in the middle of the Roja forest. In a crater-like hollow cleared of all the garbage, the voice of Laura Feldberga (also a laboratory participant)) could be heard singing a rarely heard ancient Latvian folk song. Isamu Krieger (Switzerland, Japan) caused a surprise on the Roja beach with an object reminiscent of a children’s toy from the sandpit. It turned out to be a precise scale-model in concrete of an oil tanker. Alongside the environment objects and the ceramic works, this year saw a project of a different character, which you are currently holding; Hélène Gerster and Ruedi Schorno (Switzerland) worked with Anete Melece (Latvia) to produce a book on Roja and ROJARAKU – an original documentation of visual feelings in time and space. Whether this year the artworks created will integrate with the Roja surroundings and what will they mean to the local inhabitants is a matter of time. The main thing is for the artworks to mean something to the artists themselves. However, there was one symposium work that created a great deal of interest and response among the locals. This was the “Mežrozes” (Wild Roses) project by Latvian photographer Gints Mālderis who documented a Soviet style apartment block in the Rojupe village, which, despite its prosaic and humble appearance, has been given such a beautiful name. The artist recorded the building and its inhabitants. These anthropological projects are nothing new and we can draw an analogy with Katrīna Neiburga’s installation intended for the “White Nights” culture forum in Madrid. However, whereas Neiburga’s scenes from Soviet apartment block life have been staged, in Mālderis’ project everything is for real: domestic life as a living organism that changes, grows and ages with time. This project is a cultural historical testimony to time without pretence – direct and open in its everyday surroundings. Behind every door of the building there are many others and behind each of these – a different world. Every household is a surprise. And, of course, there are many similarities because the common elements are time and the environment, the world of the moment (from the author’s description of the work). We can join in the work of Mālderis’ large format portrait of the building: just like children with a chocolate Advent calendar, we can open windows and see the life behind them. Which of us at some stage hasn’t wanted to peep through others’ windows? However, Mālderis’ work has none of the voyeuristic because all the “Mežrozes” residents posed for the author of their own free will. And it was this good will, the positive aura of the interaction between photographer and models that gave the work its added value. Friendship, openness, frankness, good will, love, mutual tolerance of all creative expressions – the most important is what happens between and to people during the laboratory, that which in some way possibly changes or illuminates their view of life in the future. That is the most essential added value of ROJARAKU.